There are plenty of amazing options with this Yakamia property. Elect to establish a thriving, self-sufficient lifestyle for you and your family, have enough space for a general purpose workshop for all your tradie gear, cash in on the land available or invest long-term. 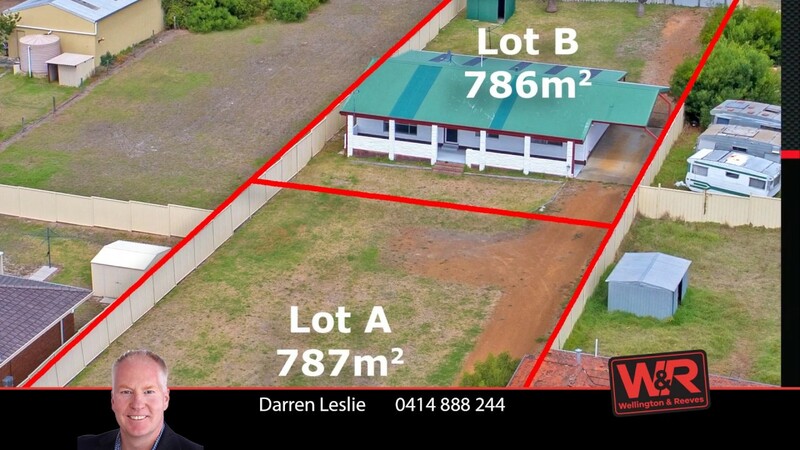 This centrally-located, rare back-to back road frontage 1,573sqm property is already subdivision-approved for a 787sqm lot fronting Leonora Street and 786sqm lot including the existing double brick 3x1 home fronting Hayward Crest. Make the house lot your home and consider selling off or developing and then selling the front lot to pay off your mortgage a whole lot sooner. But if all you long for is space, comfort and easy vehicle access, this property delivers in spades. Grow your fruit and veggies, build the kids a cubby, play cricket with them in the front yard, keep some pets and enjoy ample space between neighbours. If you did decide to subdivide, you could easily make the rear of the existing home the main frontage and make good use of the two-bay drive-thru carport. The home is extremely comfortable and has been repainted and features modern floor coverings and new RC Aircon, it also has untapped potential for further improvements. Relax or party on the verandah or under the patio, both of which could be transformed into enclosed year-round entertaining areas. The spacious separate lounge flows to a light dining and kitchen zone and well-appointed laundry. The remaining wing contains three good-sized bedrooms and a spacious bathroom with wide vanity. 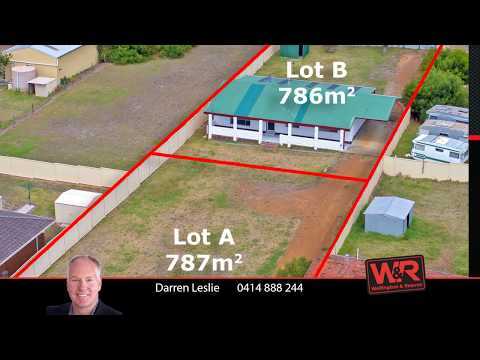 For more information or to arrange an inspection please contact Darren Leslie on 0414 888 244 or Rhett Bull on 0408 264 309.